(Two photos of flamboyant cuttlefish.) 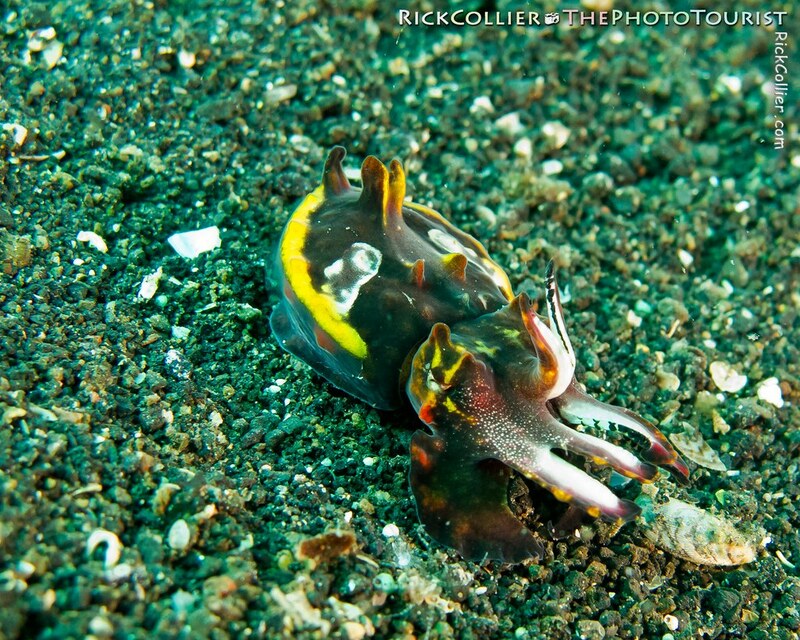 We came across a number of flamboyant cuttlefish in the Lembeh Strait. This is a very small beastie; the ones we saw were 2 to 4 inches long. It adopts bright, almost pulsating shades of red, purple, and pink with that distinctive yellow border when disturbed. 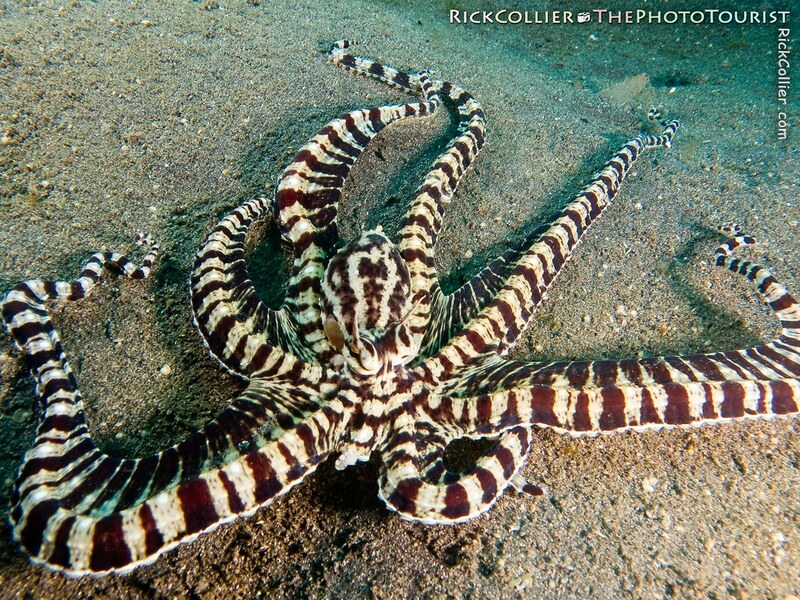 (Mimic Octopus photos) During the week we were in Lembeh, I learned to spot the mimic octopus. 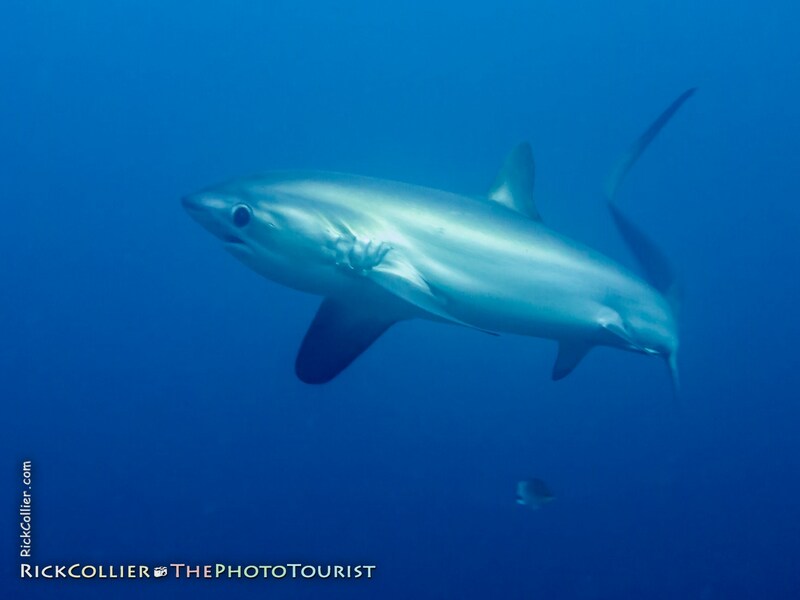 What probably surprised me most about the mimic was its diminutive size; in life, this octopus is only about the size of an adult male’s hand — not at all the size that a Caribbean diver might assume from the photos we all have seen.